Now just the one live table platform offered...but it´s a goodie and limits are very high. A good option for the high roller out there. BetVictor (formerly known as Victor Chandler) is a well known brand in the UK with a strong high street presence since forming in 1967. The group (Victor Chandler International Ltd trading as BetVictor) is now based in Gibraltar after relocating operations in 1999. They have embraced the internet with aggressive expansion into all forms of net-gambling including their online sports betting operation, poker, financials, and casino games and now turn over in excess of £1 billion annually from more than half a million customers in over 160 countries. Betvictor live casino is operated under license/regulation of the Government of Gibraltar and Gibraltar Gambling Commissioner as well as the UK Gambling Commission. After the recent closure of tables from Media Live, NetEnt and Extreme Live Gaming they presently offer tables from Evolution Gaming only. 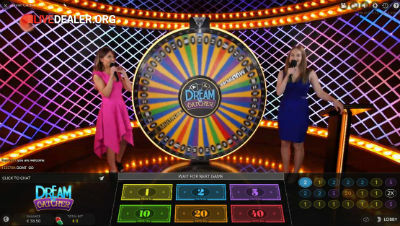 All games across available platforms are playable from the single casino account. For all, straight Banker (0.95:1), Player (1:1), Tie (8:1) bets and pairs side bets offered. There is also a No Commission Baccarat table with slightly different payouts. 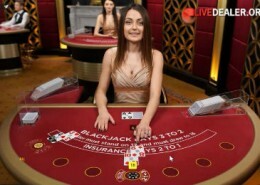 Betvictor offer a range of 7 seat live blackjack tables. Choose regular or VIP limit tables (including Salon Privé) from the floor of Evolution’s Latvian or Romanian studios. There is also a BetVictor private table (pictured). 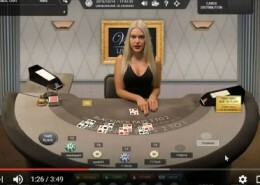 Also offered, are the very large range of low limit Blackjack Classic tables, most of which are streamed from Evolution’s Georgian studio. House rules identical for all, but limits vary substantially. For something a little different, you can also play the Infinite Blackjack table. So called because in theory an infinite number of players can play the one deal. Pretty much every Evolution Gaming table you can play on your PC at Betvictor, you can also play on your mobile device…iOS and Android. Read more about live games for mobile here. If you’re looking for high limits, this is your live casino. There are a few other strong points as well. Choose either the standard payout game, or a Super 6 table with slightly different payout structure for Banker wins (+ the Super 6 bet). 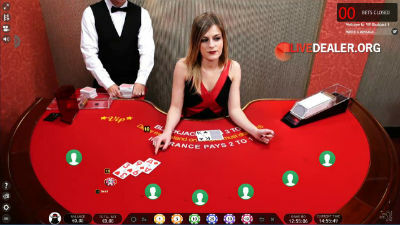 European Roulette is the main game but a bunch of different game skins are offered (Ra, Lady, Sizzling Hot), which include a single reel side bet. There’s also the Golden Ball game run on a separate table. Also a recently introduced French Roulette tables with La Partage rule. 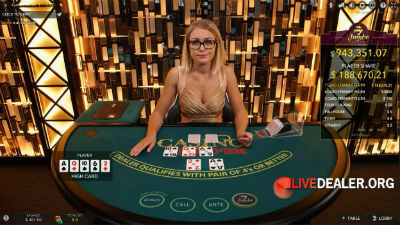 Following a move out of BetVictor’s Gibraltar studio and into Medai Live’s Malta studio, there are now 4 available live blackjack tables inside Victor’s Live Casino, including a VIP table with a $10,000 max bet. Limits vary across tables, but house rules identical for all…Blackjack pays 3:2, dealer stands all 17’s, double 9, 10, 11 only and the deal is from an 8 deck shoe. European (pictured) or French live roulette tables, as well as an auto ball launch table to choose from. NetEntertainment’s live game range is slowly growing and the games currently on offer are very playable. Was pleasantly surprised writhe the games themselves. Photos don’t really do them justice. Dealers a mixed bag – some forgettable others, unforgettable.